We added the ability for you to Merge Invoices this weekend. This will allow you to merge invoices that are OPEN, OVERDUE or PAID. Under the “Money” tab go to the Invoice List. Select a member invoice. 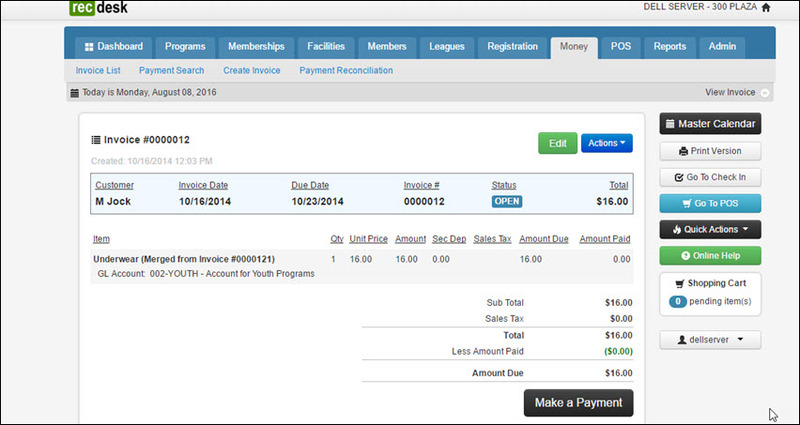 From the invoice you will have the option under the blue “Action” tab to Merge Invoice with Another. A list of invoices will appear with the most recent on top. Select the invoice you want to merge. Once you select the invoice a box will appear to verify the merge. It will state the action is irreversible. It will confirm that you want to merge the invoices. 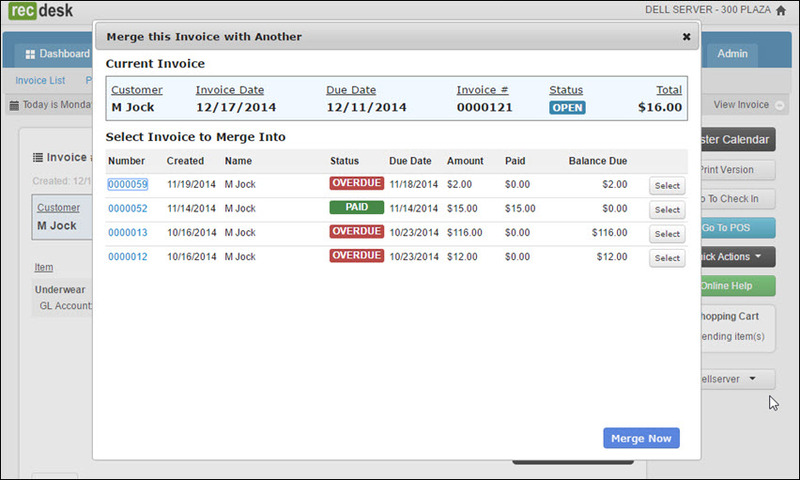 You can merge an OPEN (or OVERDUE) with a PAID invoice. If so, the invoice will reflect the appropriate balance due. You can merge a PAID to a PAID invoice. The invoice will have no balance due. You can merge a PAID to OPEN (or OVERDUE) invoice. The invoice will still be open with the same balance due. 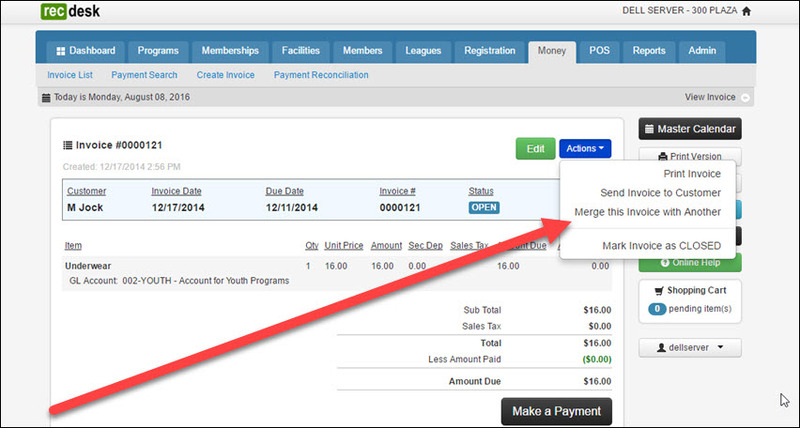 You can merge OPEN (or OVERDUE) to OPEN (or OVERDUE) invoices. The invoice will reflect the combined balance due. Once the invoices are merged, a payment can be applied to the invoice if there is a balance due.